According to government figures, Rs 3000 crore has been spent in Kalahandi since 1980s. Kalahandi, Odisha: In 1984, Phanus Punji, the poor woman from Kalahandi in Odisha had sold her sister-in-law Banita for Rs 40 and a saree to feed other members of her family. Then prime minister Rajiv Gandhi had to fly down to Kalahandi to see for himself the poverty in which people lived in. The government then floated KBK (Kalahandi-Balangir-Koraput) special scheme and pumped in huge funds. But, 30 years later, the gut-wrenching tale of Dana Majhi, who carried his wife’s body on his shoulders for 10 km as he had no money to afford a hearse van, has put Kalahandi back into the limelight. Mr Majhi wouldn’t have had to go through the ordeal had he availed two government schemes. The Harishchandra Scheme by the government, that provides money for funerals for the poor and was introduced in 2013. And the Mahaprayan Scheme that provides free hearse service to transport bodies that was announced in February and launched after Majhi’s wife’s death. Government figures from the last financial year show that spending under the Harishchandra scheme in Kalahandi is among the lowest even though the district ranks eleventh in terms of population. This perhaps is why Dana Majhi, a tribal, took the decision to walk home with his wife’s body. 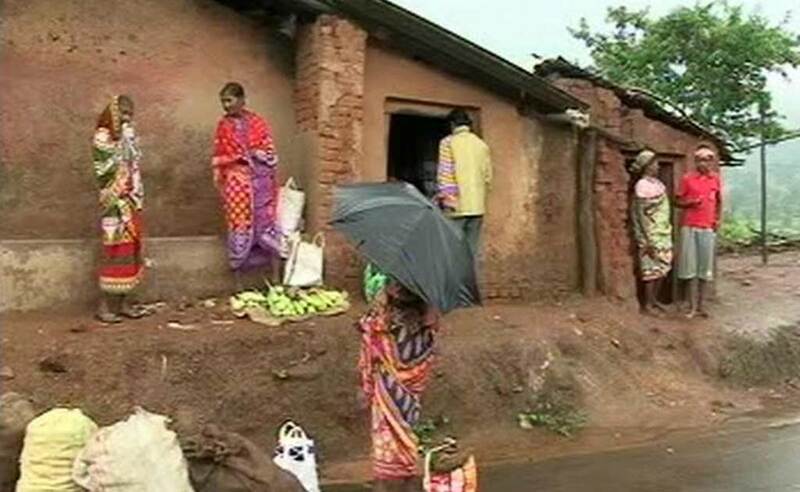 The story is similar in the entire Kalahandi-Bolangir-Koraput region, an area that has seen acute poverty. Mr Majhi admitted he did not know what to do and did not seek any help from anyone. In 2006, the Ministry of Panchayati Raj named Kalahandi as one of the country’s 250 most backward districts. “In some cases, funds from this scheme have been used for purchase of vehicles and beautification of buildings in Bhubaneswar and some district headquarters. Will that eradicate poverty?” Mishra asked. In 2006, the Ministry of Panchayati Raj named Kalahandi as one of the country’s 250 most backward districts. In 2016, Kalahandi’s situation hasn’t got any better. According to government figures, Rs 3000 crore has been spent in the area since 1980s. Several schemes were announced in the past and high profile politicians had visited the place. However, the region still lacks basic facilities like roads and telephone connectivity. If someone is ill, they are carried on a makeshift stretcher on foot. For tribals in Kalahandi, accessibility is a huge challenge. Due to Maoist insurgency, building roads in these parts of the country is difficult. The last two years have seen 15 gun battles between Maoists and security forces. With poor connectivity, Mr Majhi and his wife had to walk to Nagrundi, 4 km from his village from where the only available transport is a rickety bus to the main road. Despite the fact that fertile tracts of the district have shown improvement in socio-economic indicators, the implementation of schemes, programmes and services on the ground is the real challenge that the government faces today. The politicians are solely responsible for this damn thing. these hell scoundrels hv done nothing except corrupting themslves. they dont fear God. and the hell political parties always work for own profit. people are lazy. go do some work instead eating the sand of the river. When will the administration do something….ironically the ruling party was busy organising a Bandh…?? SAMBALPUR: She had held the then Prime Minister Indira Gandhi spellbound with her dance performance when she was just 16. Forty years later, the dancer is old and helpless, living in an incomplete Indira Awas Yojana house with her husband. She does not even get two square meals a day. Her husband, who suffers from a fractured leg, is also not in a position to earn a living. The ailing couple lives at the “mercy” of locals. The extremely talented Sambalpuri (Dalkhai) dancer, Gurubari Mirdha, is today bedridden in her house in M Gandpali under the Bijepur police station of Bargarh district, about 85 km from Sambalpur. She wiles away the hours reminiscencing her halcyon days. Indira Gandhi, who had a great fetish for Orissa art and culture, could not resist the temptation of joining her on stage when she was performing in the Capital in 1968. The turning point in her career, felt the dancer, was this performance in Delhi. “I was taken aback by the Prime Minister’s spirited move. She joined me on stage. I was a little nervous but she made me feel very comfortable. She held my hand and danced with me. Later, we photographed together,” recalled the dancer. Gurubari, who is now 56, has received numerous awards and citations from organisations like the Orissa Sangeet Natak Akademi, Adivasi Bhasa Sanskruti Academy, Mathkhai Utsav, Bolangir and Lokmohotsav Sambalpur. She also gave many performances on Doordarsan. Her room is stacked with certificates and mementoes that talk about her glorious past. “I received several awards and mementoes during my 40-year career, but these are now meaningless as I am starving,” she said. “Earlier we could manage with my husband’s earnings. He was a daily labourer but the fracture has rendered him jobless,” complained Gurubari. Neighbour Biranchi Sahu said, “We feel proud to belong to her village. We try to help her whenever possible. But the government should do something long-term in her interest.” Sahu felt the Indira Awas Yojana accommodation given to her by the government, can be completed for one, with provision for water and sanitation. When contacted, district collector, Bargarh, expressed ignorance about the dancing star’s plight but assured he would look into the matter. “Since I am new to the district I have not much idea about her condition. But I will take necessary steps to alleviate her suffering,” promised Bhabagrahi Mishra, the collector. BALANGIR: Enter any village under Belpada block of Balangir district and see how people battle for their existence. And how hunger can kill hundreds. Starving and emaciated, villagers often succumb to their circumstances. The scenes in these villages will leave anyone speechless. Barring a few who own land, most villagers depend on nature. They collect forest produce for their sustenance. TOI visited Bileimara village, 17 km from the block headquarters and met Bhaktaram Bariha, who is 65. For the past 10 years he has been bed-ridden. His spouse had died of some mysterious disease years ago. What is most pitiable is that he was forced to marry off his two daughters to the same man. His son-in-law had promised to look after him and so Bariha gave away his second daughter, too, in marriage to this man. Today, all four stay together, the daughters look after the father and husband. Bariha does not get old age pension. Neither does he hold any entitlement card which can buy him subsidized rice at Rs two a kg. Early morning all of them, barring Bariha, go to the forest to collect char, seeds and mahua flowers. They return home by evening. During their absence, Bariha’s granddaughter Srimati, who is five, looks after him. “I can’t remember any government official visiting this village. I was just a kid when someone came here and talked to some villagers and then vanished. We are fed up requesting the sarpanch to give us a BPL card or an IAY house. Every time he tells us that some procedure has to be followed and then the matter is forgotten,” said his daughter. Sometime back, he developed a swelling on his neck. He sent his son to the nearby PHC to call a doctor, but he did not come. Finally, his son-in-law called a quack, whose medicines worsened his condition. 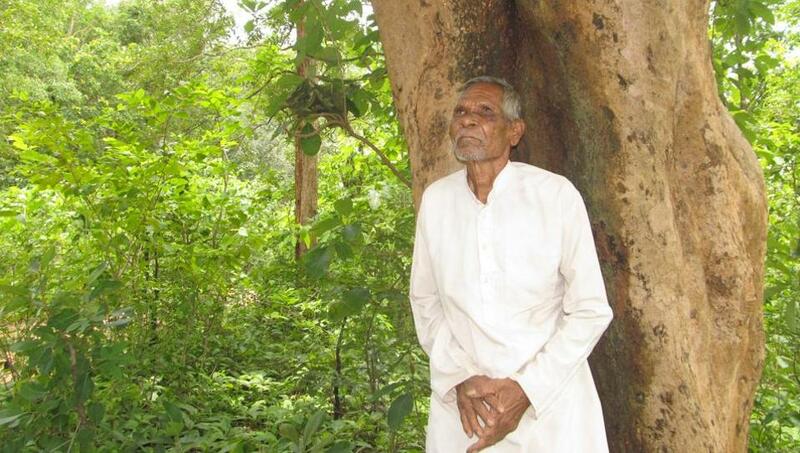 The life of Khatra Bariha, 65, of Rengtasil village, mirrors the despondency of his village. He lost his wife after two months of their marriage. A few years later, he lost his two sisters. He had lost his parents when he was young. A stark example of peripatetic life, Khatra constructed a thatched house on the outskirts of the village. The house is closed from all sides. Every time he goes to the village to fetch water and other essential items, he breaks the thatched wall and then reshapes it. His only possessions are perhaps two bowls and some clothes. Khatra said he asked the sarpanch to get him a BPL card, but the sarpanch asked to him to prove his identity. He collects forest produce and exchanges them in village shops for rice and other items! Bariha and Khatra are just metaphors of a larger canvas. 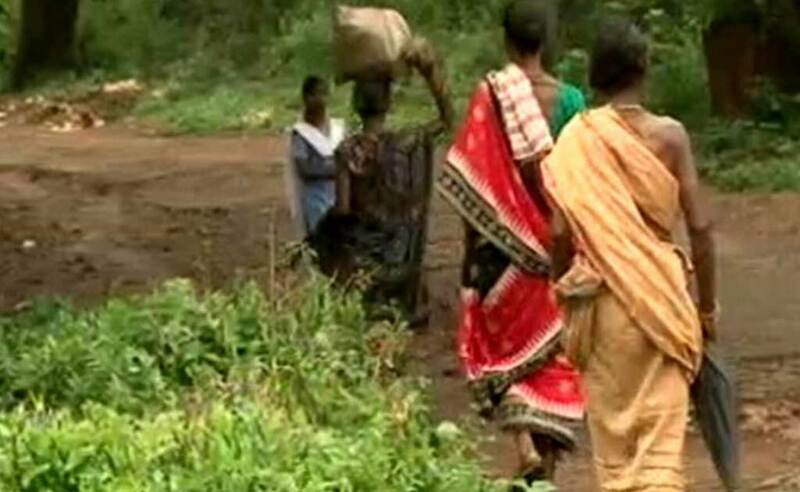 For these 800-odd poverty-stricken villagers, the forest is a source of sustenance. Adhikar, a voluntary organization, has submitted a list to the government giving names of villagers who are living in this pathetic condition. But there has been no action yet. Jatin Patra, who surveyed the areas and prepared the list, said there’s been no development in the villages in the past 20 years. “Except improving the condition of some roads, there’s been no visible development,” he said. Five of a family recently died of hunger in Chabripali village under Khaprakhol block. But even this painful incident failed to move the administration.